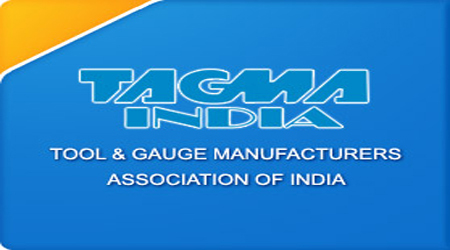 Frankfurt, 6th March, 2014: Tool and Gauge Manufacturers Association – India (TAGMA-India) announces the next DIEMOULD INDIA 2014, the 9th Biennial Die & Mould International Exhibition from April 17-20, 2014 in Mumbai, India. The series of DIEMOULD exhibitions “A Trend Setter” organised by TAGMA since 1998 has build growing global awareness and reputation as the only trade fair in India for the Die & Mould Industry and very large by international standards of various Die Mould Exhibitions held globally. The 9th Die Mould India exhibition spread over 20000 sqmtrs would provide all businesses related to the tooling industry an ideal and prestigious opportunity to display and market their products and services. In today’s fast growing die mould sector this is a “must participate exhibition” necessary for improving branding and growing sales on an interactive platform in centrally cooled halls, with all supportive infrastructure, in the proximity of Mumbai airport and having the best worldwide connectivity by air, road, rail and sea. The expected visitor footfall is 30000 plus. Exhibitors range includes Dies & Moulds, Press Tools, Mould base & standard parts of Dies & Moulds, Hot Runner System , Tool Steel , Heat Treatment, Texturizing, Gauges, CAD/CAM system related to Dies & Moulds, Die Spotting, Digitizing, Additive Manufacturing/ 3D Printing , Rapid Prototyping & Modeling , Machine Tools for Dies & Moulds, CNC Milling/Machining Centre, E.D.M, etc. , Moulding machine/ Die Casting machine , Accessories for Machine Tools, Die/moulding polishing machines, Cutting Tools, Measuring Machines , All materials, equipments, accessories & services covering Die & Mould industry. Visitor Profile includes Auto, Plastic products, Electricals, Consumer Durables, Electronics, Auto Ancillary, Special Steels and Engineering. With the regular participation of leading brands from India and abroad showcasing their latest proven technologies, incorporating features to improve productivity, quality and reduce costs, attracting quality visitors like CEOs, Consultants, Decision Makers to the exhibition. They expressed satisfaction finding solutions to their needs seeing new innovative products, manufacturing process, covering the entire supply chain to the tooling industry, thereby providing a wide spectrum to choose from in meeting challenging faster deliveries demanded by customers of the highly competitive manufacturing sectors. The periodic survey “The Indian Tooling Industry conducted in 2011, shows that the industry market size in 2011-12 was Rs. 17000 crores with imports accounting to 35%. Current Estimated growth is 15%. Mr. Ginu Joseph, Editor in Chief of Modern Plastics India and Injection Moulding World said that Indian Tooling Industry is growing and expect to reach 260 billion by 2015, he emphasised that the tooling industry is growing because of automotive and packaging industry growth. Mr Bhaskar Kanchan of TAGMA India said that the previous edition of Die & Mould Exhibition held in Mumbai was highly successful with a steady growth, of over 23% in number of exhibitor, 20% in visitors and 17% in exhibition area, highlight being two Country Pavilions from China and Germany, the event also attracted exhibitors, delegations and visitors from over 25 countries worldwide. 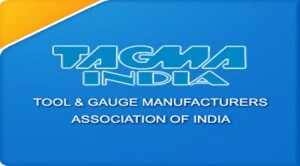 India established in 1990 serves as a forum for the Indian Tool Room & Die and Mould Industry whose activity involves design, sales or manufacture of dies for pressing, stamping, punching and forming; injection and compression moulds; die casting dies; patterns and pattern equipment; jigs and fixtures; standard tooling components; CAD/CAM; rapid prototyping; gauges; precision machining; special machines and related products.